The “Forrest Gump” star who spends his free time entertaining military families became an honorary member of the few and the proud last night. The actor Gary Sinise, known for his iconic portrayal of sharp-tongued soldier Lieutenant Dan in the 1994 film and for his long run on the CBS series CSI, was made an honorary Marine Aug. 29 in an intimate dinner ceremony at the home of Marine Corps Commandant Gen. Jim Amos. 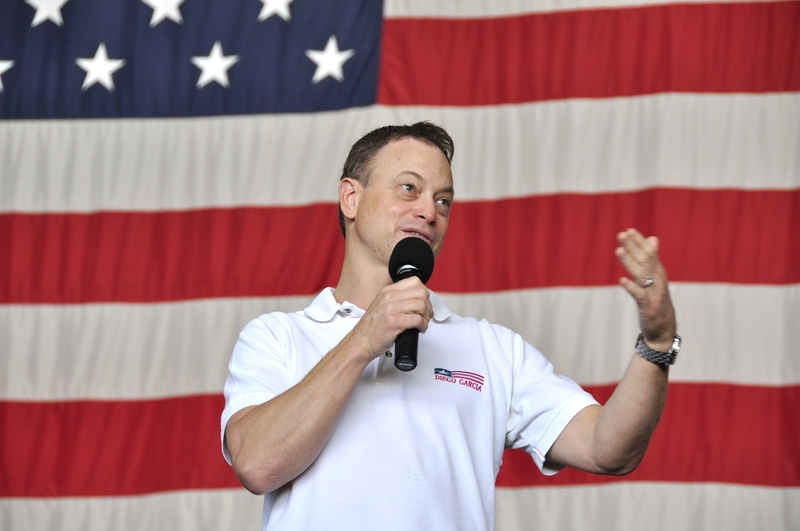 For the last two years, Sinise’s eponymous nonprofit foundation has helped renovate veterans’ homes, sent military spouses on vacations, and sponsored military scholarships. And his Lt. Dan Band has traveled to military installations across the globe to provide free concerts to troops and their families–I’ve been to one, and I can tell you he’s pretty good on the guitar. A spokesman for Marine Barracks Washington, Capt. Jack Norton, said Sinise was pinned with the Eagle, Globe, and Anchor, just like any new Marine. He will serve as the guest of honor at tonight’s Evening Parade at the 8th and I parade field. In a statement, Amos praised Sinise’s work on behalf of the troops. This is the second honorary military induction in as many years for Sinise: in Aug. 2012, the Navy made him an honorary chief petty officer. Sinise joins the likes of legendary badass Chuck Norris and comedian Bob Hope in earning the title of honorary Marine, which is given to those who have demonstrated Marine Corps qualities or distinguished themselves in service to the military. According to a listing on the Marine Corps Community website, there have been 75 honorary Marines inducted since 1992, not counting cancer survivor Daran Wankum, who received the honor earlier this year. A heartfelt thanks for all you do, Sir. Welcome aboard, Lt. Dan! Semper Fidelis. It is great to have someone who truly deserves recognition get “pinned”…Semper Fi….and probably better than having the public relations nightmare of the White House. Congratulations to America’s newest Marine. I do believe Mr. Sinise has contemplated a run for President before. I think now’s the time. Was at Marine Barracks 8th & I when you were honored at a Friday night parade. Wish they had done this then. Welcome to a special brotherhood. It kind of trivializes what training real Marines have to go through, doesn’t it? And trivializes the sacrifices that real service personnel make every day. I do not think that Mr. Sinise’s efforts to entertain and improve the morale of the troops trivializes in any way the sacrifices made by real soldiers every day. I say this as a veteran. God bless him and everyone else who does more than just talk about supporting the troops. While I despise our current president, as he does not represent the troops, and only connects himself to the military if it will bring him popularity or some sort of reflected glory (“I killed Osama Bin Laden”), instead of crediting all those who are out there doing it every day. I salute all those, who, like Mr. Sinise, sincerely wish to bring a few moments of happiness and respite from the rigors of war and the military in general. Glad to see this man have this honor bestowed up on him. He advocates for the Marine Corps more then any other modern day celebrity. I had the privilege of serving Wounded Warriors at Walter Reed Army Medical Center as a (voluntary) Retiree Recall from Mar 2008 – Feb 2011. The Lt Dan Band presented a rousing program in the Old Red Cross Building one evening to a packed house of Wounded Warriors, family members and NMAs. I was moved then and continue to be moved by his constant support of all service members, no matter the branch. God bless you and your team! I had the great pleasure of seeing the Lt. Dan Band live at Easton Theatre (PA) they were playing to raise money for Adam Keys who lost both legs and one arm in Afhganistan. This man is a true patriot! Semper Fi Mr. 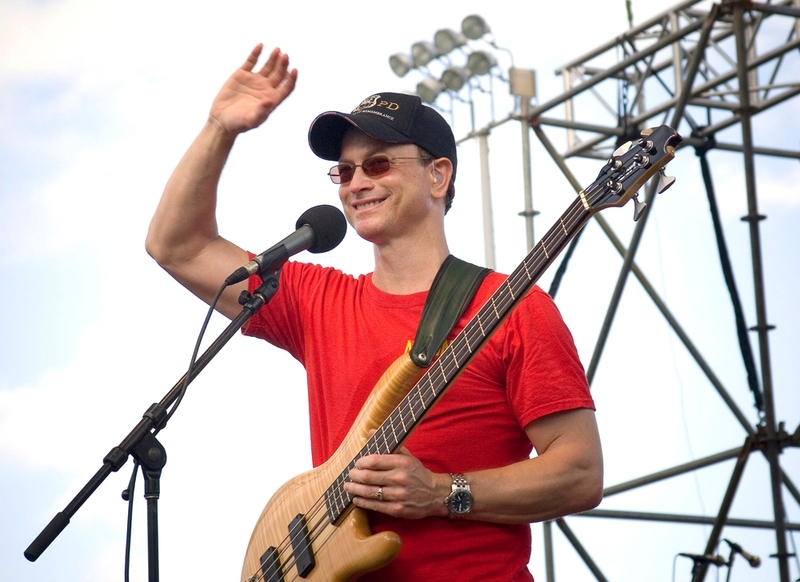 Sinise! !